The novel multi-parameter FTIR analyzer Lyza 5000 Wine is your solution for the analysis of wine, must and must in fermentation. Fast measurements for a multitude of parameters ensure you have all the information you need during all steps of wine production. Thanks to a quick setup and pre-installed models all important results for wine analysis, including ethanol, sugars, and acid profile are just a tap away. 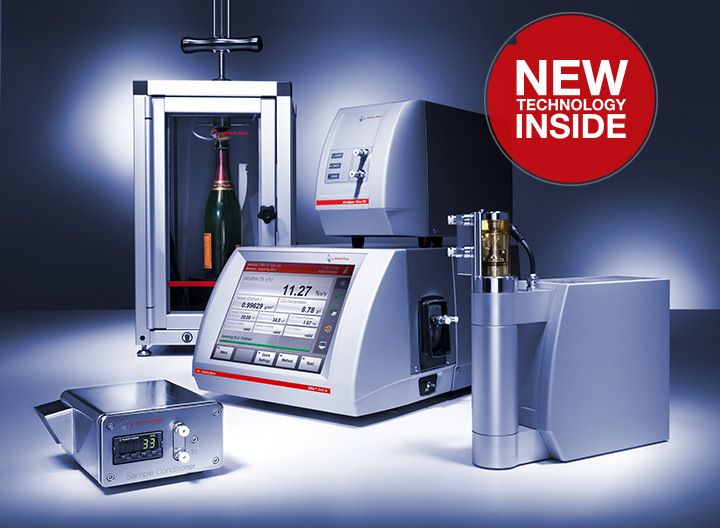 Lyza 5000 Wine can be used as a stand-alone device, automated for high throughput, or connected to your benchmark instruments – Anton Paar density meters and alcohol meters – for the most powerful wine analysis. Receive results for more than 13 parameters for wine and must including ethanol, sugars, and acid profile in a single measurement. Minimal measurement times of less than one minute allow for high sample throughput and fast reaction times. Easily handle single measurements, adjustment of models, or even complex measurement routines with the user-friendly touchscreen interface. 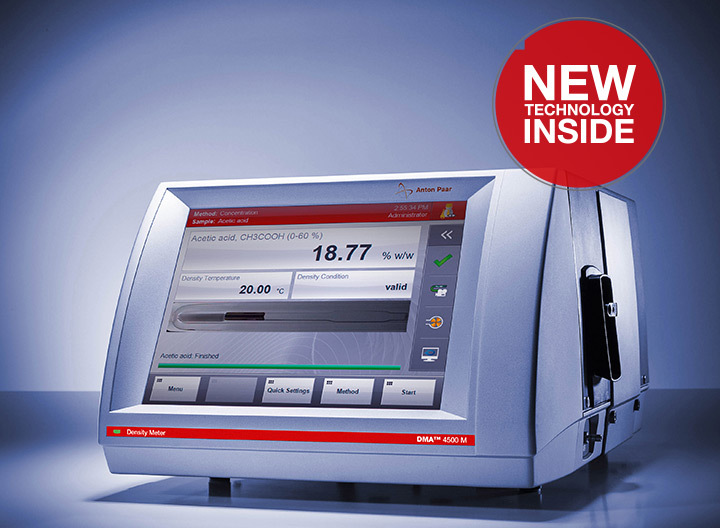 Lyza 5000 Wine performs all data analysis automatically – there’s no need for an external PC. Integrate Lyza 5000 Wine into your LIMS system for the highest degree of automation. Enhance your sample throughput via automation with Xsample 520 at an affordable price. 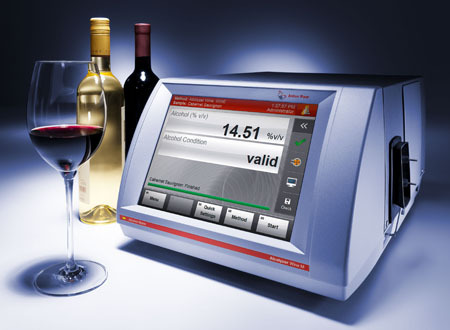 Lyza 5000 Wine connects to the benchmark instruments for wine laboratories: from DMA M density meters to a complete Alcolyzer wine analysis system including Alcolyzer ME, HazeQC, and pH ME. Receive results from Lyza 5000 Wine and all connected instruments in a single report after only one sample preparation, one filling, and one measurement. Reports can be automatically printed and digitally exported to your hard drive or network storage via Ethernet and WiFi. Lyza 5000 Wine’s 12-bounce ATR measurement cell delivers ideal signal intensity and is barely influenced by turbid or gassing samples. The most accurate measurement cell temperature control of any wine analyzer (±0.03 °C) guarantees the most stable measurement conditions. Live notifications inform you about the state of the instrument and recommend what action to take. Integrated workflows guide you through water and ethanol reference measurements – no proprietary reference standards necessary.